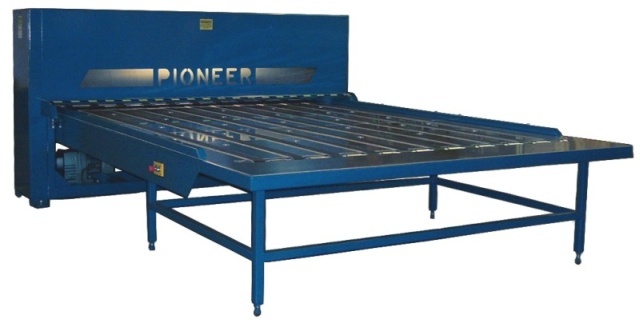 Pioneer Flatbed Die Cutters | Die Cutters, Inc. Die Cutters, Inc. is pleased to announce that it will be providing parts and cutting cylinders for Pioneer Flatbed Die Cutters (PFD-80, PFD-100, PFD-120) formerly produced by Pioneer Container Machinery in Sandoval, Illinois. Die Cutters, Inc., the manufacturer of the Cleen-Cut Flatbed Die Cutter, has purchased selected assets and will be incorporating them into their parts and service department. Please give us a call for all of your die cutter needs.